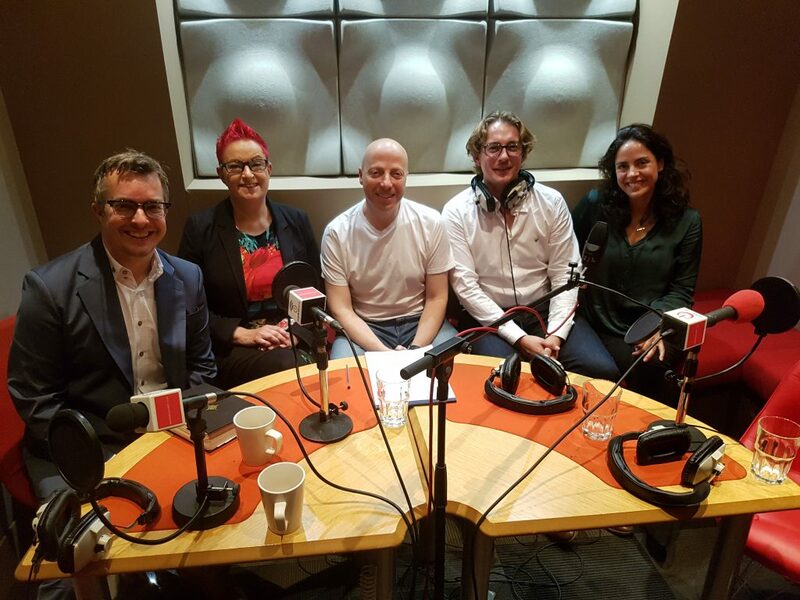 Recorded in partnership with Tyto to discuss the launch of their ‘Tyto Tech 500 Power List‘, which consists of the top 500 Technology influencers in the UK. Russell Goldsmith was joined by the co-founders of Tyto, Ellen Raphael, their Head of Insight together with Managing Partner, Brendon Craigie. 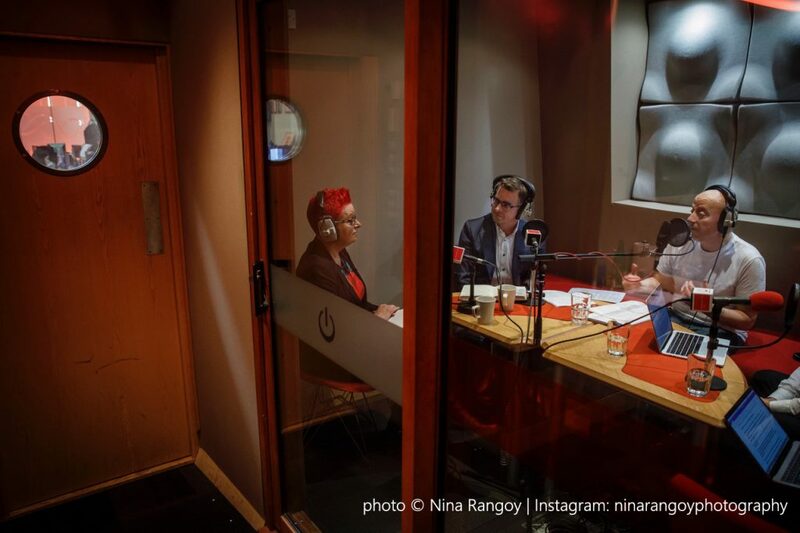 Also in the studio were two of the top 10 technology influencers from the Power list, Dr Sue Black OBE, a Technology Evangelist and UK Government Advisor on Digital Services and Jeremy Waite, IBM’s Global Leader of CMO Programs. We also hear from Anne Boden, CEO of Starling Bank, another member of the top 10 influencer list. The panel discussed the fact that there are numerous influencer lists published within the industry, but they were in agreement that this latest one from Tyto had credibility due to the methodology that went behind compiling it. For example, Jeremy said that two years ago he had been listed as the No.1 influencer on Twitter for Big Data. However, he added that this is not the case at all, but because he talked a lot about the subject matter, if you multiply the number of followers he has by the number of times he tweeted with the hashtag #bigdata, it resulted in him becoming the No.1 influencer for that topic, which Jeremey said is completely pointless. Ellen therefore explained that in compiling the list, they wanted to create an objective ranking, as opposed to the many influencer lists that are created by single metrics, such as social media reach or nominations by peers and judged by panels, which shortens the reach of the people who can be included. Tyto therefore looked across a range of technology sub-sectors and influencer groups. They therefore partnered with Delineate, the founder of which, James Turner, previously worked on Edelman’s Trust Barometer. owned media, i.e. through their own influential blog or via the business they work for. This meant that those on the list had to excel in all four areas quite frequently. Sue’s story of how she has ended up appearing on this list is certainly an inspiring one. She left school at 16 and then went back to education 10 years later as a single mum with three kids living on a council estate and benefits. This led her to becoming a full time academic and becoming Head of Department at the University of Westminster and setting up BCSWomen the UK’s first online network for women in Tech and running the campaign to save Bletchley Park. Today and she is now a Government advisor on Digital Services and the week before we recorded the show, was at No.10 Downing Street meeting the Prime Minister to talk about her #techmums courses (which includes topics like app design), and along the way, picked up an OBE from the Queen! Sue said that after setting up BCSWomen, she discovered that 8000 women worked at Bletchley Park but she couldn’t find anything online about it and so ran a campaign to record the oral history of some of the women that worked there. At this point, she found that Bletchley Park was having financial difficulties but that the work that was done there had shortened WWII by two years, and with 11 million dying a year at the time due to the war, Bletchley Park had saved 22million lives. Sue said that she got angry and wanted to something about it as she felt that the site couldn’t close. She started her campaign by contacting all the heads of computing the country, wrote to The Times and approached the BBC, but she said it was when she started to use Twitter at the end of 2008 that the campaign gained momentum as she realised she could use the search function to easily find everyone in the world who was talking about Bletchley Park. This led her to getting Stephen Fry involved in the campaign and she slowly built a community through Twitter of those people who cared about Bletchley Park. Eventually, the Queen came to visit, then the Duchess of Cambridge and then eventually the film, The Imitation Game, was produced, which Sue said was of course a real game changer. What does influential mean to each of the guests? Anne said that in both traditional banking and FinTech, being an influencer brings responsibility to ensure that both sides of an argument are heard. When she was in a traditional role in a big bank, she was very reluctant to come out with outspoken opinion, but being an entrepreneur and CEO of a new bank, she now has a great freedom to say what she really believes about what is happening in technology, finance and entrepreneurship. For Jeremy, he said the reason a lot of influencer rankings get a bad press is because it is so easy to game a system and engineer them. So for him, he considers who has influenced him the most and thinks of Simon Sinek and referenced his ‘Start with Why’ TEDtalk [also discussed in Show 30 with Petra Sammer on ‘Turning companies into storytellers’.]. The key part of this talk for Jeremy was where Simon said that goal in business wasn’t to sell to people who need what you have, it is to work with people who believe what you believe. So what Jeremy wants to discover in terms of influence is who those people are that believe the same things, because if you know who those people are, and you have got the influence, the important thing is what are you going to do with it. He also doesn’t believe they are necessarily going to influence the csuite, but they can influence the people are them to improve work-spaces, help people work with people who believe what they believe and find their purpose. Sue wants to influence as many people as possible but feels she has a mission to help disadvantaged women in particular to feel more confident in their lives, and she believes technology is a great enabler in that area. Anne doesn’t believe things have improved over the 30 years since she started in Technology. She said there were few women then and that’s still the same today. She therefore feels that organisations need to try much harder to get more women into senior positions. As it happens, Jeremy said all his bosses at IBM are women and he is incredibly proud of that fact but the key issue for him is how to use his influence to inspire more women into tech. Sue agreed to a point with Anne in that nothing much has chance since she set up her BSCWomen group, but apart from the stats, she feels that everything has in fact changed and that we will start to see an upsurge. Brendon agreed with Sue in that he believes we are at the point where things will change very quickly as he said that it simply doesn’t make sense, on so many different levels, to run businesses with gender inequality. He added that 5% of people in any given group can affect change within the other 95% but it’s incredibly difficult to measure exactly how many people someone like Sue has influenced. However, for Jeremy, it’s about knowing which is the audience that you genuinely want to speak to, and that’s not necessarily the tens of thousands of followers you have on Twitter, it may only be two or three thousand of a really engaged audience. He uses an example of how social has changed things, but not necessarily for the better, in that in the past, to campaign for Bletchley, for example, people may have gone to the site and campaigned with placards, gone on marches or raised money through sponsorship, whereas sometimes today, some people may think that simply a share or tweet on Twitter is validation, as if pressing retweet means anything as opposed to physically writing a letter to your MP or actually visiting somewhere and he doesn’t feel that mindset is a good one. He added that he is seeing evidence of this in Charities who, whilst their likes and shares may be up, donations are actually down. Sue therefore said that it needs to be a combination of several things, i.e., Social Media, meeting people in real life and trying to get into the papers etc. Brendon added that common denominator for being in the list having a passion for a cause that you really want to fight for because that means that you will engage with social media and traditional media as well as go to events and speak about it. With thanks to markettiers for hosting us and recording the show.